After lots of hard work over the summer, our long anticipated trip to Australia actually happened at the end of August. Our destination was not some fantastic beach resort but Bendigo (in winter!). Yes we went all that way just to attend the Australian National Alpaca Show. 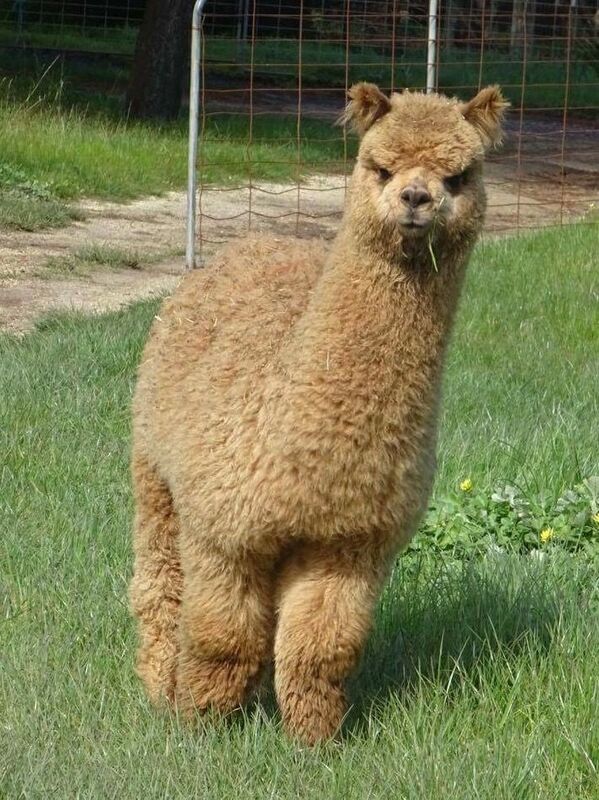 Four whole days of non-stop alpaca and non-stop talking. It was great to meet so many breeders from both Australia and New Zealand. 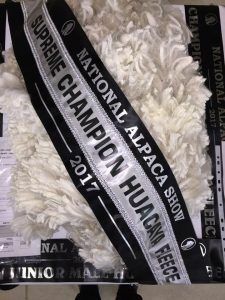 Now I know few people believed me when I said that I would not be buying lots of alpacas. I have lots of alpacas why would I need any more…why indeed! I just can’t help myself. 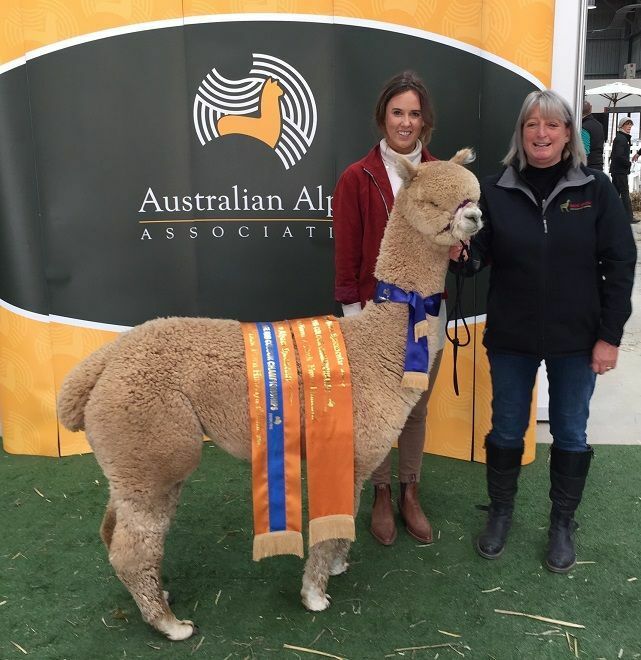 Our first purchase was a lovely young fawn male Ambersun Spinners Gold. I think we looked at every fawn male at the show, and there were plenty to admire, but this boy really ticked the boxes on my wish list. His uniformity of micron was especially impressive and this is something we regard highly. 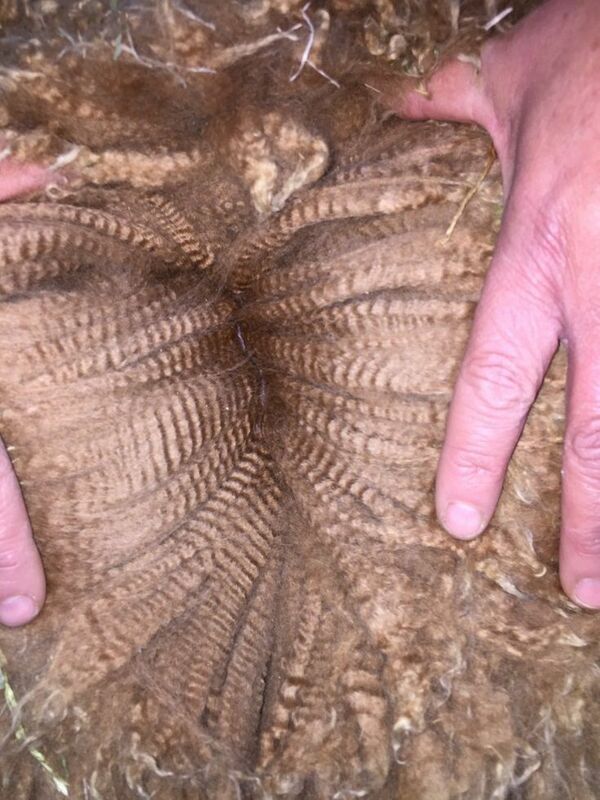 We realise his second fleece needs to be assessed but are confident he will make the grade. Okay I have given the game away by stating ‘first purchase’. To be fair to myself I half expected to purchase a fawn male, but I definitely was not going to be adding to our female herd…I am supposed to be reducing my numbers. 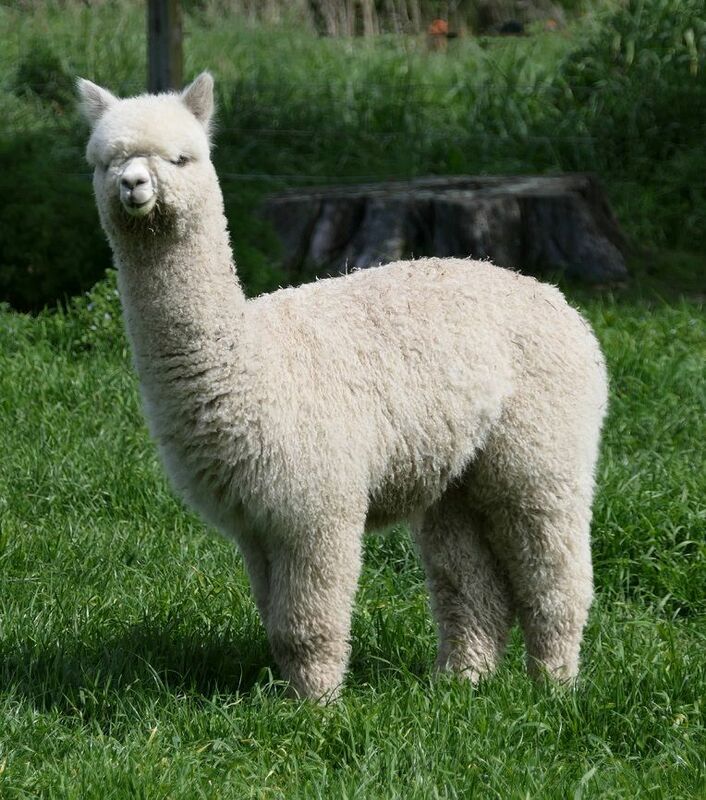 But then there is always something irresistible…in this instance it was lot 2 of the Elite Alpaca Auction. Forest Glen Champagne Moment had already been awarded Champion Fawn Female and overall Supreme Champion Fawn, thus it was a hard fought battle to secure her. She is a beauty. So that was the shopping all done and after four days at the show we were off to New Zealand. Although we have met in the UK before, this was to be our first visit to Sarah and Peter of Gilt Edge Alpacas. Now I always knew it was going to be difficult not to spot an alpaca I really needed here (this is where our lovely Samurai was bred) but I really hadn’t planned to add more whites to our herd. But then I should know better…I love my whites. 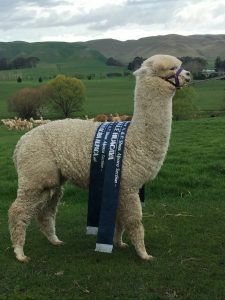 We are delighted to have secured Gilt Edge Kudos an Ep Cambridge Invictus son, who we will be co-owning with Old Felton Alpacas. 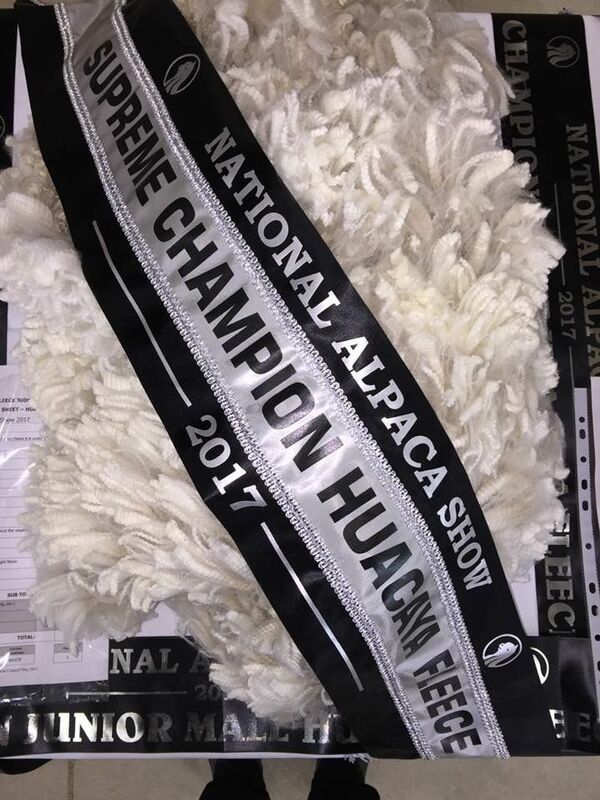 Kudos had already a Supreme Championship under his belt when we bought him but what a bonus for him to be awarded Supreme Champion Huacaya Fleece at the New Zealand National Show 2017. Last but not least was another irresistible white female. Her pedigree probably says it all (click on link to view Gilt Edge Serenity).